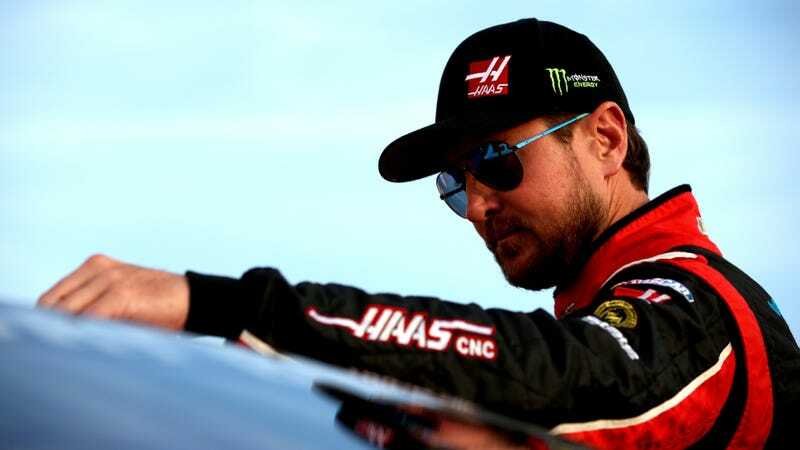 In March, NASCAR driver Kurt Busch’s legal team asked a family court judge in Delaware to review the protective order granted against Busch to ex-girlfriend Patricia Driscoll. Today, Judge William Walls issued his decision to uphold that protective order, which will remain in effect until Feb. 16, 2016. Kent County Commissioner David Jones granted the order in February, which became even more controversial after police decided not to file criminal domestic assault charges for the alleged incident where Busch smashed his ex-girlfriend’s head against a wall at Dover International Speedway in September. At its core, this case involves an incident between Busch and Driscoll. The case shows that two people can remember, and interpret, the same situation in different ways. The parties agree on little. However, the undisputed portions of the evidence establish that the parties had a tense discussion on September 26, 2014. In the middle of that discussion, Busch moved unnecessarily close to Driscoll, placed his hands on her face, and knocked Driscoll’s head against a wall. The protective order hearings became infamous over claims made in testimony, such as Busch’s allegations made that Driscoll works as an assassin as well as Busch’s testimony that Driscoll came into his RV at Dover uninvited after he had watched Seven Years in Tibet naked. Driscoll recently resurfaced in the headlines in an ESPN investigation which found that she had been using Armed Forces Foundation funds for personal expenses, including some of those for her company, Frontline Defense Systems. Foundation records noted a $10,000 “family assistance” donation to Busch’s nonprofit charity, despite the fact that Busch’s charity does not have such a program. Armed Forces Foundation tax records also listed several noncash donations from Kurt Busch and his related entities, including foundation use of Busch’s private jet. The AFF wanted to list write off usage of the jet as a donation, although Busch had not included it as such in his corporation’s tax filings. ESPN reporter Mike Fish explains that Busch was “not directly involved” in any wrongdoing related to AFF funds, however, he was given foundation funds to buy $22,438 in Moroccan rugs while the couple was dating. Busch’s company later wrote a check to the AFF for the exact amount of the rugs. Other motorsport-related entities were also on AFF’s books as donating noncash support, including NASCAR and Fox Sports. According to ESPN, the foundation was traditionally ranked high among military charities by charity watchdog groups, however, they recently did not meet the BBB Wise Giving Alliance’s standards. All we know for certain is that Driscoll and Busch will both remain controversial figures, and that Busch is still legally required to keep his distance from Patricia Driscoll. Because of the lack of a criminal conviction, it seems highly unlikely that NASCAR will take any further action against Busch. NASCAR returns to race at Dover International Speedway this weekend.